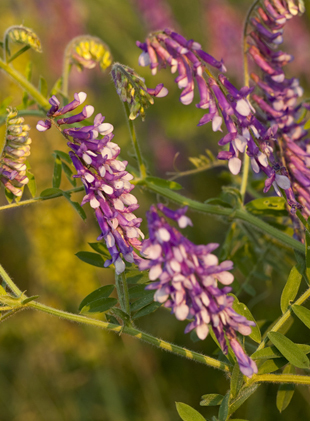 This hardy annual lupine is known for being the easiest lupine to grow. The banners of the flowers change from white to purple as they are pollinated. This serves as a perfect indicator for bees. Arroyo Lupine prefers to grow in disturbed areas and is native to California and the western United States.